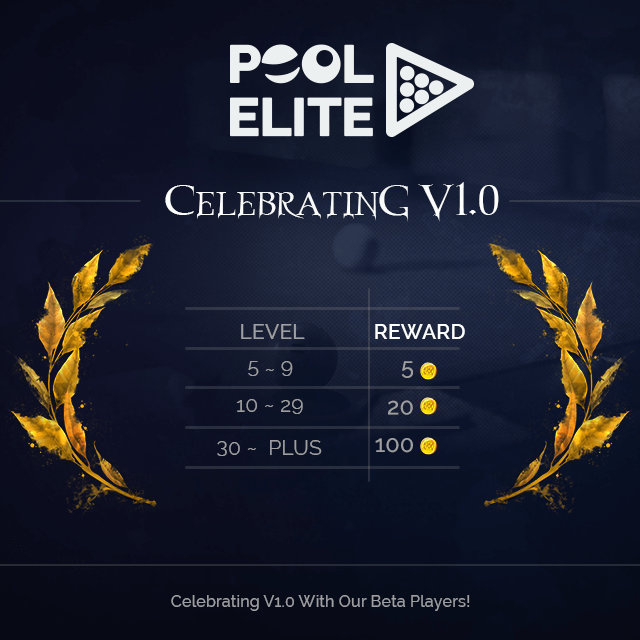 We’re so excited to release Pool Elite V1.0 Update for you guys, we wanted to celebrate this grand update with our Pool Elite Beta players. To celebrate V1.0 Update, you will have the bonus Gold in your account. Gold rewards will be given to your accounts according to your level during the maintenance. We appreciate your continued support and contribution!